Four weeks ago we welcomed baby Ryan into our family. While I am enjoying snuggling with him and spending time with my other two kids, I have some special guest bloggers scheduled to share some great posts with you! Today I am so happy to have Emma from Science Sparks sharing a fun science activity with us. Welcome Emma! Hello, I'm Emma from Science Sparks and I'm very excited to be guest posting on Toddler Approved today. 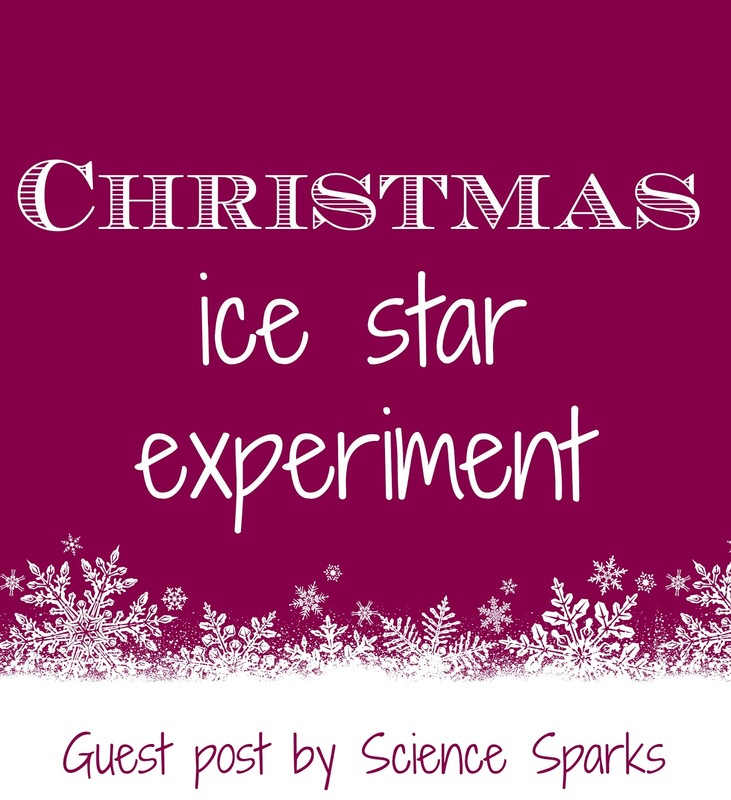 Science Sparks is a blog full of fun and easy science based activities for young children, so please come and take a look around if you haven't already. All three of my children are fascinated by ice, they love to feel how cold it is, watch it melt and think of ideas to make it melt even faster. 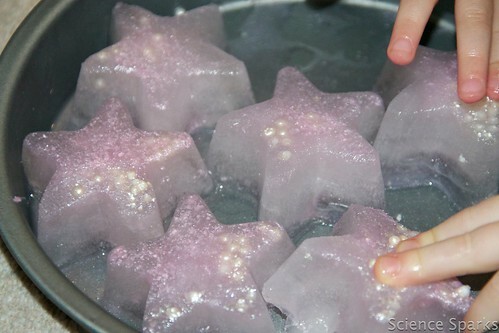 Today we gave our ice a Christmas feel by using star shaped moulds and adding some cake sparkles. I let the ice melt a little bit before letting the kids play so it wasn't too sticky for them. As usual they all giggled and laughed as the ice moved around the container. 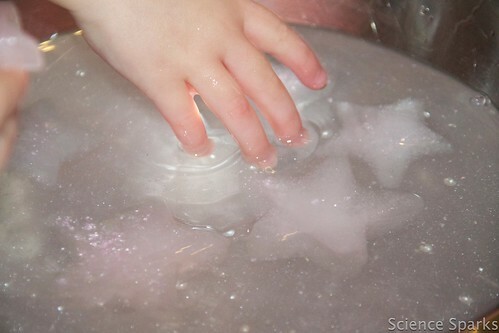 We then added the stars to some water to make them easier to play with. Find two pieces of ice the same size and place one on a plate outside and one inside to see which melts the fastest. Try adding salt to see if that makes the ice melt faster. Why does water freeze? Water can be a solid, liquid or gas. In liquid form the water particles can move around freely, so the water takes the shape of the container it is in. When you cool the water down the movement of the particles slow down and the particles become tightly packed together, which means its shape cannot change easily. Why is ice sticky? Ice feels sticky because when you touch it, the ice immediately freezes the moisture in your skin, which makes the cube feel sticky. Isn't this simple activity by Emma so perfect for Christmastime with little ones? I love the sparkles! 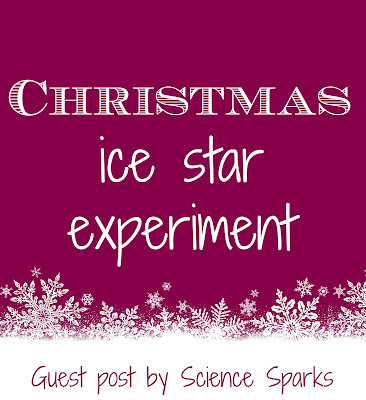 Definitely head on over and check out Science Sparks for more awesome and easy ideas for your kids! What other ways do you like to experiment and play with ice? Love it! I can't pin the ice images! Just added a pinnable image you can pin instead!